For those born before everyone had an Internet-enabled phone, Auto Trader was the king of places to buy cars cheap. 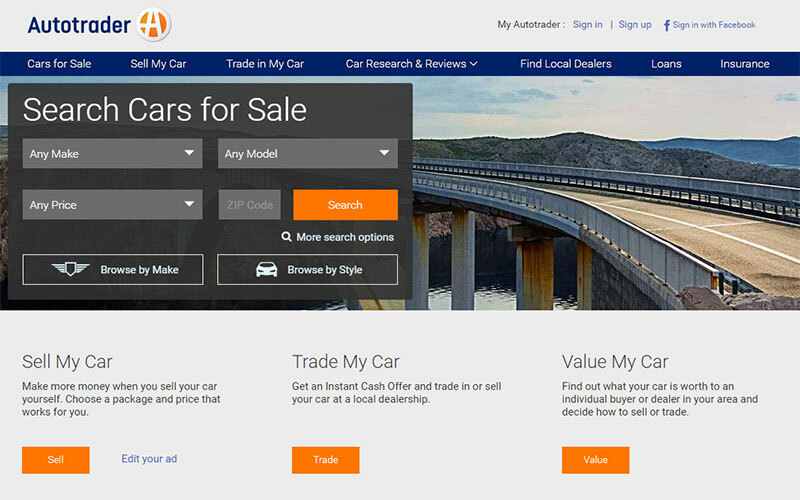 Things are no different when it comes to today with the AutoTrader.com Website. The site is one of the best places to buy cars online cheap today. The site offers some of the best advanced search tools available on used car site, and consumers can select the make, model, and desired price range for their auto search. Additional search filters include choosing the exact specifications of the vehicle, fuel economy, and other major features offered for the search range entered to include number of doors, keyless entry, and more. The company now makes a trade-in quote feature available for consumers to get a quote on trading their ride in at a local dealership in the event a third-party sale is not the desired means to purchase a vehicle.